Home / GST-Tally / TallyERP.9 Lessons / How to Create or Update Supply of Services Ledger in Tally.ERP9? 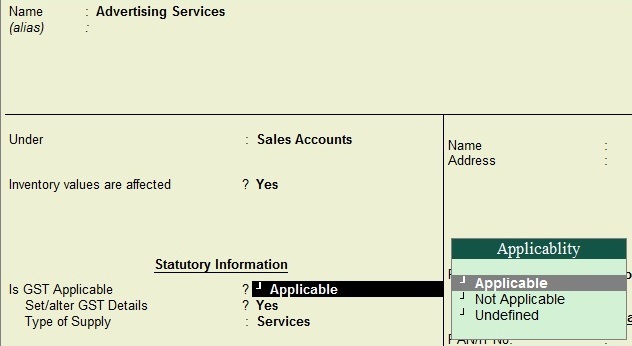 How to Create or Update Supply of Services Ledger in Tally.ERP9? Create Supply of Services Ledger in Tally.ERP9? To take Effect of GST for Supply of Services you have to create Supply of Services ledger under Sales or Income, of if you have already a ledger of Services then you need to update the same. Read Also: How to Create GST Tax or Services Invoice in TallyERP.9? Remain classification as Undefined, Select Nature of Transaction as its nature like Interstate or Local. 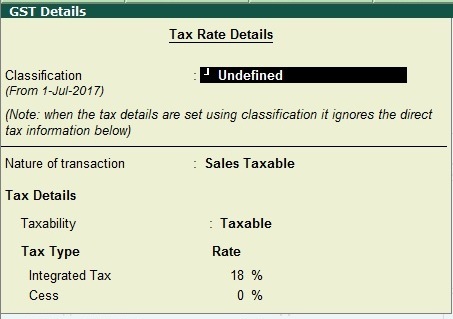 Taxability as Taxable, Integrated Tax Rate as specified in GST. Select Enter to save or Ctrl + A to save.